I've been using this washer dryer for the past 2 weeks and I must say I'm really impressed. It's great on energy - as a smart meter user we we're quite shocked at how little was used given the machines energy rating. 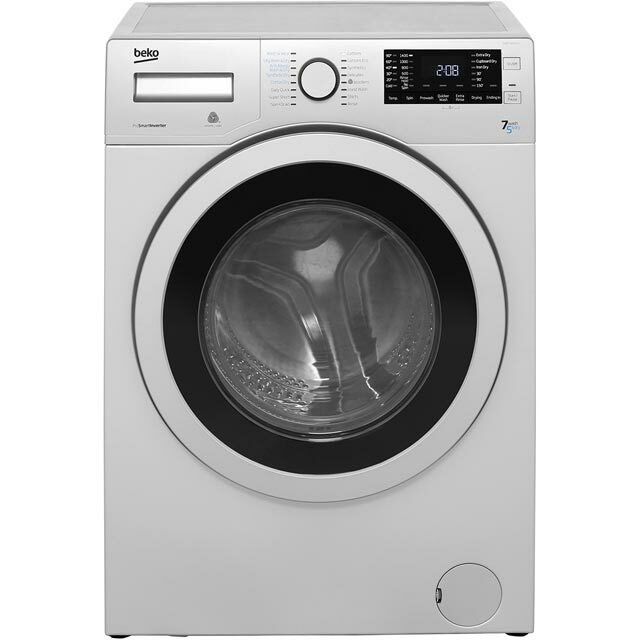 Very easy to use, the dryer function is good. I'd recommend using the dryer function for 180 minutes on a medium load. This does mean that the total time from dirty to clean and dry can be around 5 hours though. But you get what you pay for ! All In all worth every penny ! 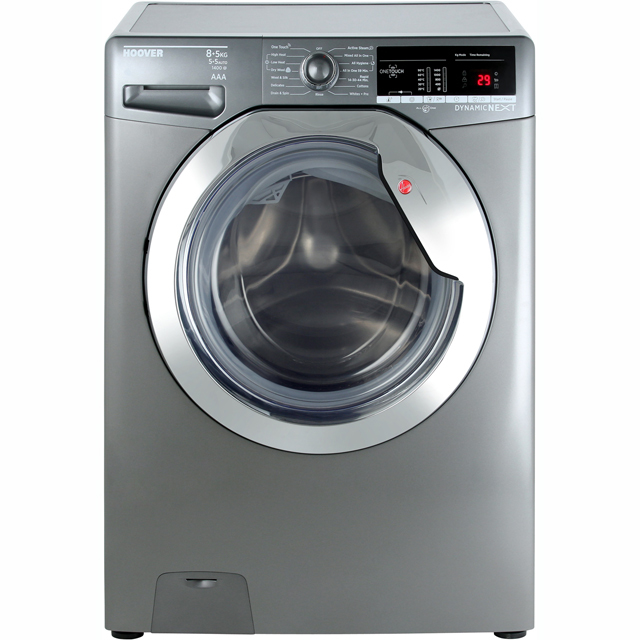 It seems like a good quality washer/dryer and runs very quiet compared to our old machine. The only (slight) issue so far is with the time it takes, with the drying time always at 3 hours. It does however have options for fine tuning so this may be something we can cut down on with trial and error. I ordered the silver coloured washer/dryer and the colour was better than we expected and looks great in our kitchen. This machine washes and drys perfectly . It's a great machine if you have limited space. 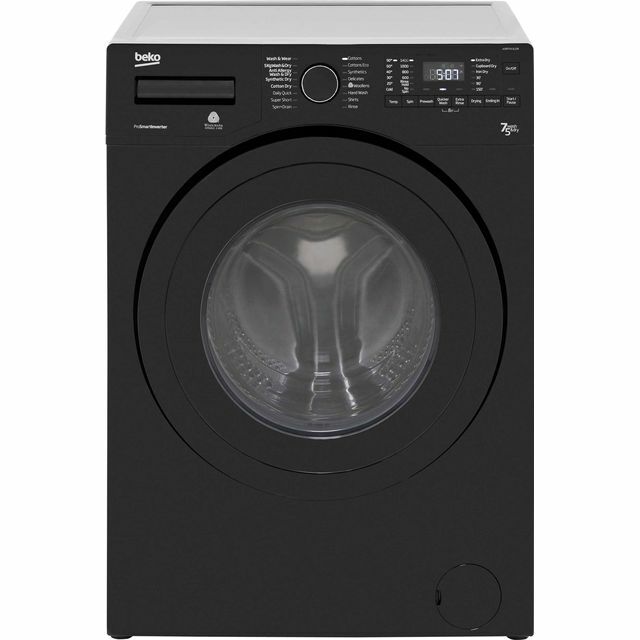 I would recommend this washer/dryer. ... with my new washer dryer from Indesit, which offered the option for a small machine ideally suited to a single person. It's simplicity itself to operate, and I particularly liked being able to choose an 'express wash'. It's also quiet in operation - important in a small kitchen! Last but not least, it looks sleek and neat in silver. I'm delighted with my purchase. Great value, very quiet compared to our last machine, and does everything I need it to. Would definitely recommend this washer dryer. 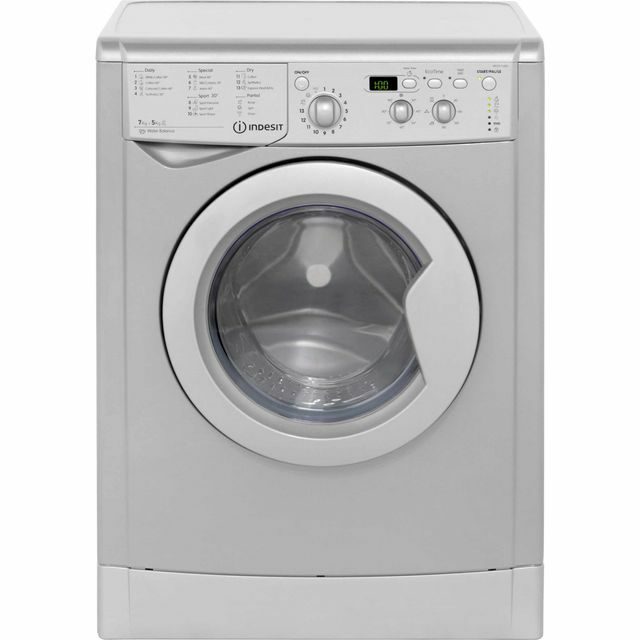 Best washing machine ive ever had, very pleased with it. Very economical and fits in well with my other kitchen appliants. The spin is brilliant, so the drying time is quicker. The colour of the machine is lovely. There are lots of good settings to choose from. Delivery was quick and two young men who delivered it were very pleasant and helpful.